This tutorial will show you how to use DiskDigger to recover files that were accidentally emptied from your Recycle Bin. Note: This is specifically for recovering files that were recently emptied from the Recycle Bin. 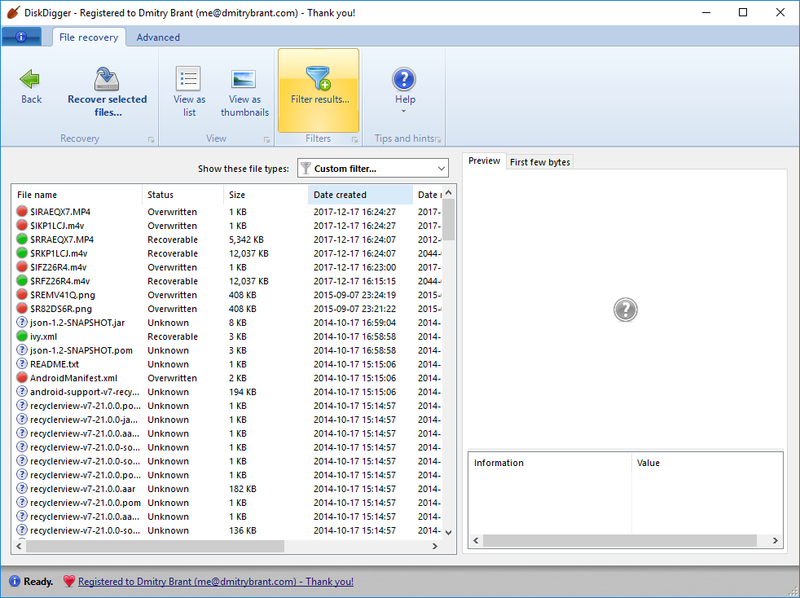 For general recovery of files from your hard drive, refer to this tutorial. Begin by launching DiskDigger. 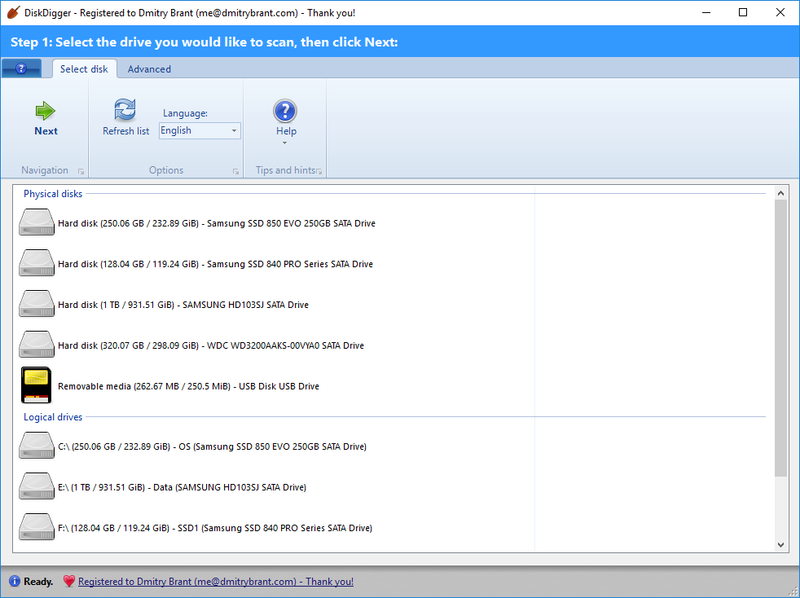 You should see your hard drive in the list of drives available for scanning. Make sure to select the hard drive on which the Recycle Bin was emptied. Select the drive and click "Next." DiskDigger will let you choose between the "Dig Deep" and "Dig Deeper" modes. For attempting to recovering files from the Recycle Bin, you must select Dig Deep mode. Click OK, and the list of recoverable files will now be updated to reflect our updated filter settings. 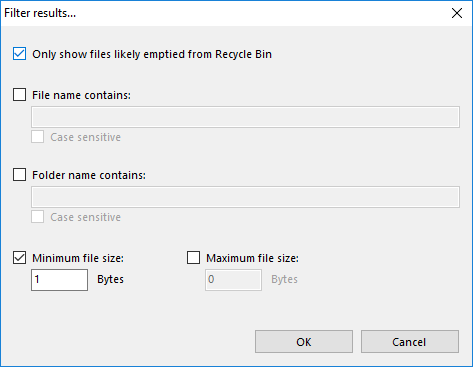 It should now display files that came from the Recycle Bin. 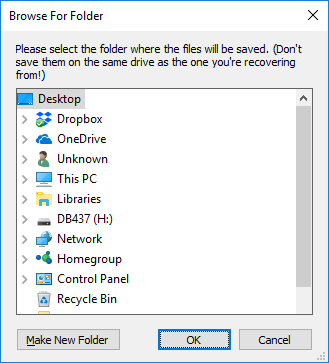 A note about file names: Unfortunately, when Windows empties your Recycle Bin, it often changes the names of the files that were in it. So, if your deleted file was originally called "Document1.doc", it might now be called "$IRPEQ7W.doc". In these kinds of cases, the original file name is lost permanently, so you may need to recover multiple files until you find the one you're looking for.